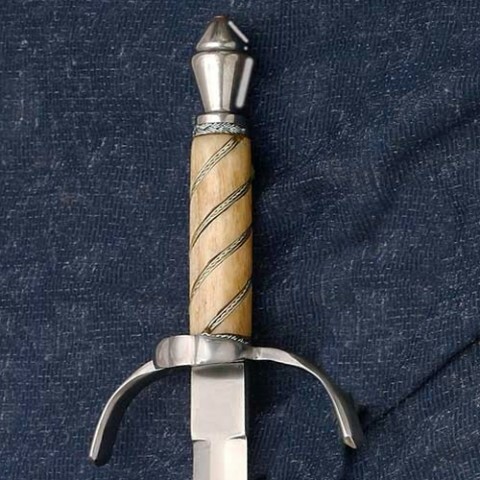 Small partner for the Deschaux rapier. Coordinates nicely as part of the set. 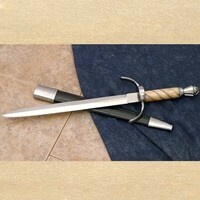 Is referred to as the ‘Ring Hilt’ dagger. Worn on the back tilting to the left for easy access.